Indulge your bed in Mea, an exclusive matelasse only available at de’ Medici. 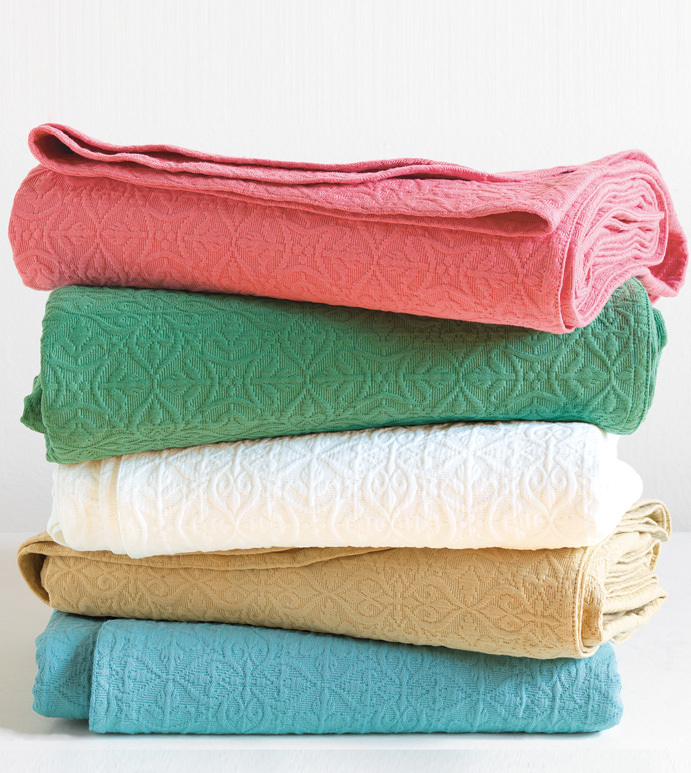 This luxurious program comes in five alluring colors of white, aqua, sunshine, coral, and meadow to make a bright statement in any dé cor. 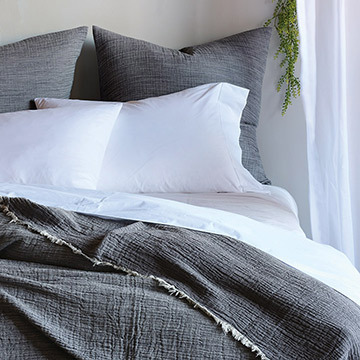 Woven in Portugal, this 100% cotton matelasse is of the highest quality for the most beautiful of bedrooms. 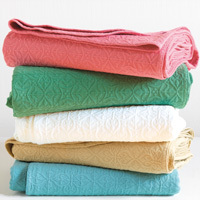 Mea's 100% cotton fibers may shrink a little on the first wash. But not to worry – we make the products slightly larger than advertised, so all you have to do is pre-wash for a perfect fit that lasts.